Operational Test & Evaluation (OT&E) — GTMR, Inc.
GTMR’s OT & E branch plans, integrates, and conducts experiments, developmental testing, independent operational testing, and independent evaluations and assessments to provide essential information to our clients. The OT & E team is comprised of Test Engineers and Subject Matter Experts (SME) committed to excellence and continual support of the Air Force Distributed Common Ground Stations (AFDCGS) ISR Sustainment Engineering Center (ISEC) Program Office. The team is proud to have supported this initiative and weapon system from its beginning, sustainment and the integration and test of new capabilities. The GTMR team is focused on the opportunity collaborating closely with customers on the Common Ground Station-related research, design, simulation, stimulation, development, test and evaluation. Our activities encompass capabilities including, control systems, data and communication links, mission sensor packages, airspace integration, weapon integration, interoperability and automation/autonomy, sustainment and the integration and test of new capabilities. 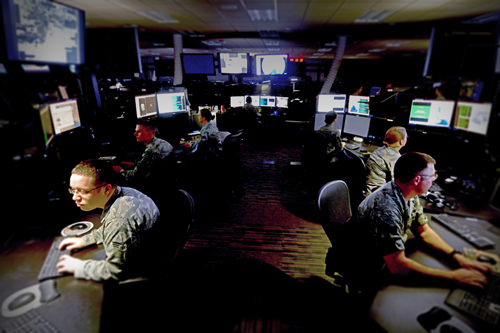 The OT & E Government lead team provides ground-breaking solutions, as an example, the team relocated unique AFDCGS mission systems to a centrally located ISR Sustainment Engineering Center (ISEC) located at Warner Robbins, Georgia. This innovative and transformational way provides increased capabilities to our warfighter and real cost savings to our clients. GTMR stands at the ready with a full staff supporting future OT & E efforts.